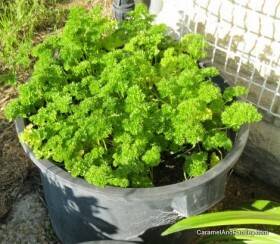 Parsley is such a simple herb to plant from seed, in your garden and in containers for easy picking. 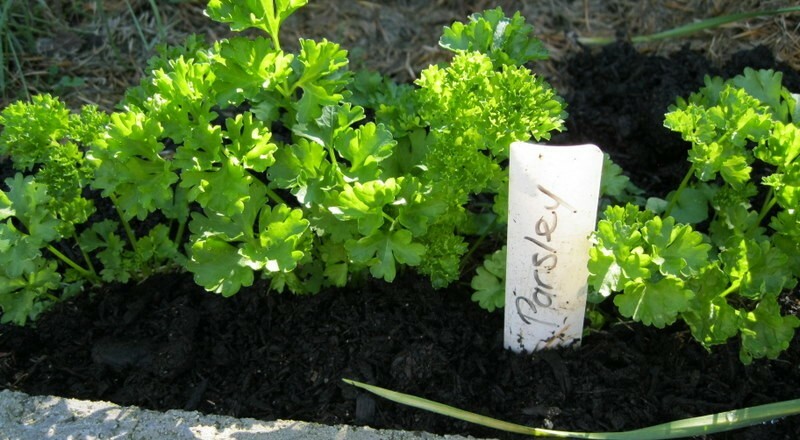 Eat powerful parsley to prevent and fight cancers with its antioxidants and flavonoid Apigenin. Make a furrow about 6 mm (¼ inch) deep at least 50 cm (18 inches) from next row in garden. Sow thinly in furrow and cover with fine soil. Germination: May be slow and irregular, depending on heat and moisture. There are many (almost endless) uses and recipes for parsley for you to try. 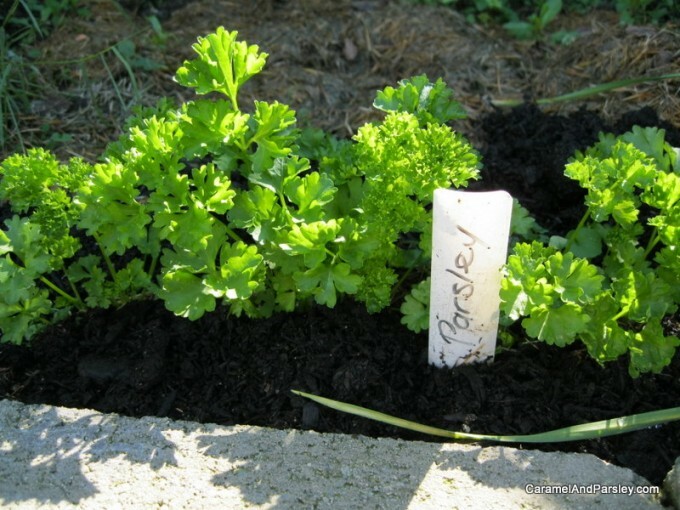 I always let one plant go to seed in the garden each year, and the following spring am always happy to find ‘baby’ parsley growing in other parts of my garden. I usually transplant or pot the new parsley when this happens. Really an old and versatile favourite to include fresh daily on your menu! See links added below (2017) on updated news and recent study on benefits of parsley and cancer.